Situated on the Woollahra end of Oxford Street, this space has worn a number of hats in its time. Formerly Claude's (for 37 years!) and the short lived Red Rabbit, the place has now transformed into Sura by Ku—a modern Asian eatery with a focus on Korean cuisine. 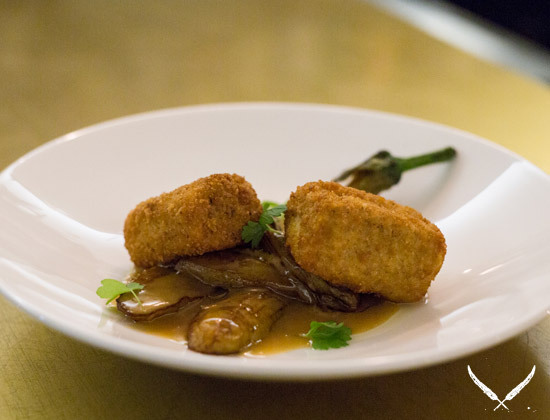 We checked out this new restaurant in Sydney to see what it's all about. Run by husband and wife team, Sangkyu Ku and Julie Kwon, Sura by Ku takes its name from the Korean word Sura which loosely means 'meal for the King and Royal Court' and Ku after chef and owner Sangkyu Ku. The little restaurant has received a bit of a makeover and has a gorgeous upstairs area that's perfect for intimate functions. It's a clean and modern space without feeling stark. In fact, it feels quite casual—almost like you're dining in someone's home. The menu is divided into four sections—vegetarian, small plates, plates, and sides. 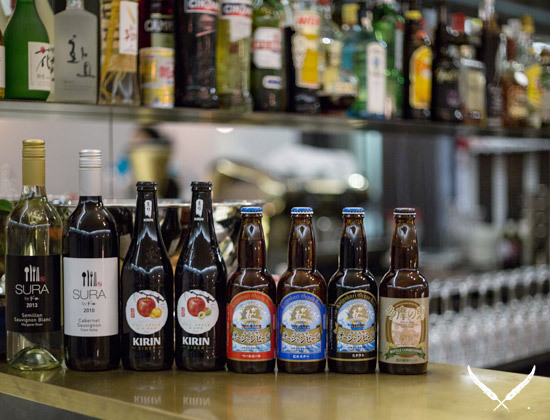 With a number of gluten-free options available, like the five-spice tofu and black raspberry wine-cured salmon, gluten-free diners are well catered for. As with many Asian restaurants, sharing is the name of the game—that way you get to try a number of delicious dishes on the menu and food envy is avoided altogether. 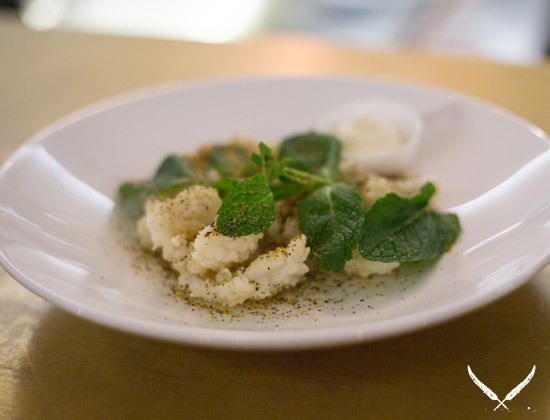 Lemon pepper squid with mint and aioli. Miso-glazed baby eggplant crumbed tofu and crumbed haloumi. As a sucker for all things taco, I couldn't go past the Gochujang pork belly taco with apple daikon slaw and barley. At $12 a taco, it ain't cheap, but it's a hefty and delicious fellow. Next up came the lemon-pepper squid with mint and aioli. While squid can sometimes be chewy and tough, the squid here was some of the best I've had. The gluten-free wok-tossed spicy sambal prawns with sweet pea and mint was a good level of spicy, although eating the peas with chopsticks proved somewhat of a challenge. Chicken gangjeong cooked with Jerusalem artichoke, garlic soy, and peanuts is one of their most popular dishes and I can see why—the chicken is succulent and full of flavour. Bok choy salad with mint, lime and shallot vinaigrette, amaranth. 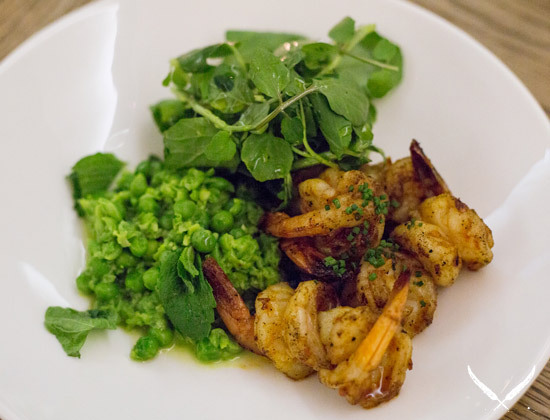 Sambal prawns with sweet pea and mint. 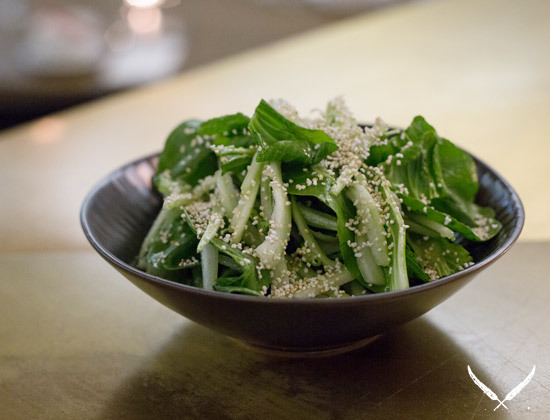 The bok choy salad (also gluten free) makes its way to the table and is a perfect accompaniment to the dishes—it's light, fresh, and down-right tasty. Finally, we say hello to the kim chi flash fried rice with Chinese dry sausage, soft egg, pickled seaweed, and their house-made kim chi. It's like a little bowl of comfort and I could see myself tucking into this dish every time I come to Sura By Ku (or even trying to make some weak version of it myself at home). 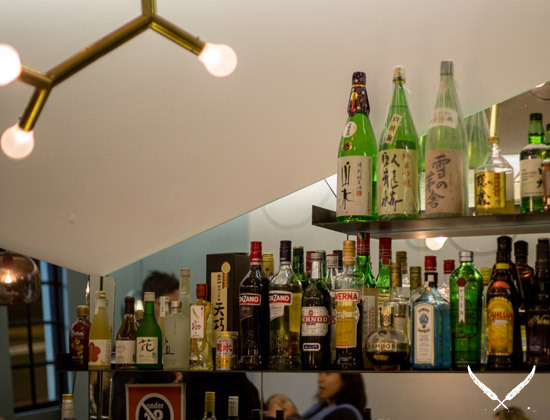 Sura by Ku is the perfect little spot for a quiet dinner or even an intimate gathering and is definitely worth a visit if you're looking for new Sydney restaurants to try. With new places like this opening, I'm hoping it means that things are on the up and up for the once thriving Oxford Street.